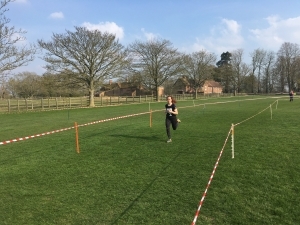 Six students qualified for the ISA National Cross Country Finals, held at Rugby School on Friday 20th March. Qualifying for this prestigious event is a huge achievement in itself. All students had already qualified in the top ten runners from the Midlands race held at Bedstone at the beginning of February. The competition was therefore tough as students competed against the qualifiers from each of the seven regional areas. All of the students performed very well. Junior School competitor Agnes A came 27th in the 1500 metre girls year 3 and 4 race, despite carrying an injury. Sam W came 35th in the 2000 metre boys year 5 and 6 race. The Senior School competitors also had a great day. 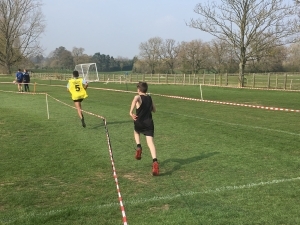 Michael O was 34th and William W was 56th in the year 7 and 8 boys race which was 2750 metres long. 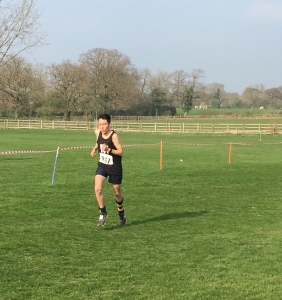 Anya M came 16th in the year 11, 12 and 13 girls race which was 3800 metres long and Arjen O came 19th in the year 11, 12 and 13 boys race which was 5000 metres long. A great set of National results, well done to all the competitors.